Thorman managed the Legends to the 2018 South Atlantic League championship in just his second season with the team. 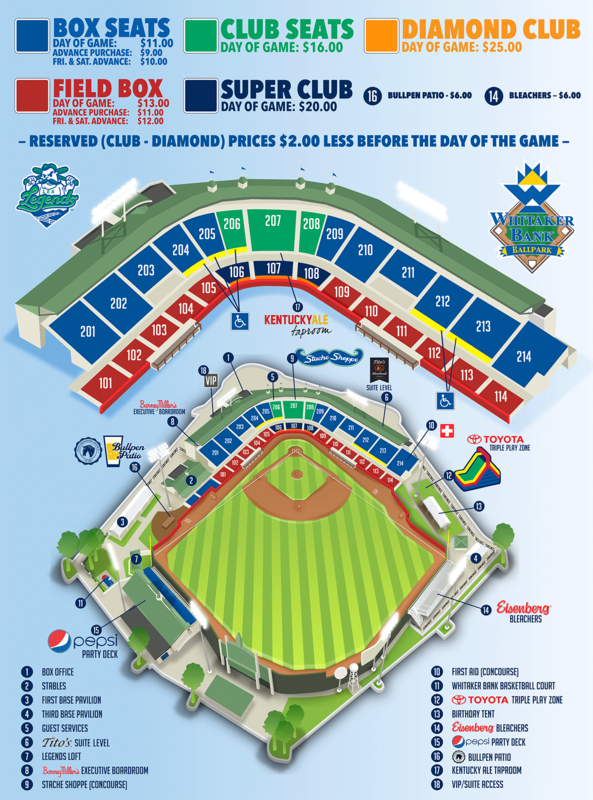 WHITAKER BANK BALLPARK (Lexington, KY) - Former Lexington Legends Manager Scott Thorman has been nominated for the 2018 Lexington Herald-Leader Kentucky Sports Figure of the Year Award. Thorman managed the Legends to the 2018 South Atlantic League championship in just his second season with the team. "I am honored to be considered for this award and appreciate everything the Lexington Legends and the great State of Kentucky have to offer. I would like to thank the KC Royals, Lexington Legends' front office, and our staff for their tireless efforts and commitment to these young men." says Thorman. "We had a great run this summer and were fortunate to have such a talented team of some of KC Royals brightest prospects. Kentucky will always have a warm place in my heart." Under Thorman's leadership, the Legends would finish the 2018 season by capturing the Southern Division 2nd half championship, and go on to win only their second South Atlantic League championship in franchise history. When he took over, the Kansas City Royals' Single-A club had not had a winning season since 2010. Legends President/CEO Andy Shea says, "Scott is the ultimate competitor. He's a guy who wants to play and wants to win every single day. His energy is truly admirable and we will always be proud and honored for the hard work and dedication he gave our team and our City bringing home the 2018 SAL Championship!" The Cambridge, Ontario native was promoted to Lexington after two seasons as the manager of the Royals' Rookie-level Burlington Royals, where he was voted the Appalachian League Manager of the Year in 2016. After spending the 2017 and 2018 seasons in Lexington, Thorman will spend the 2019 season managing the Royals' Advanced-A Wilmington Blue Rocks. 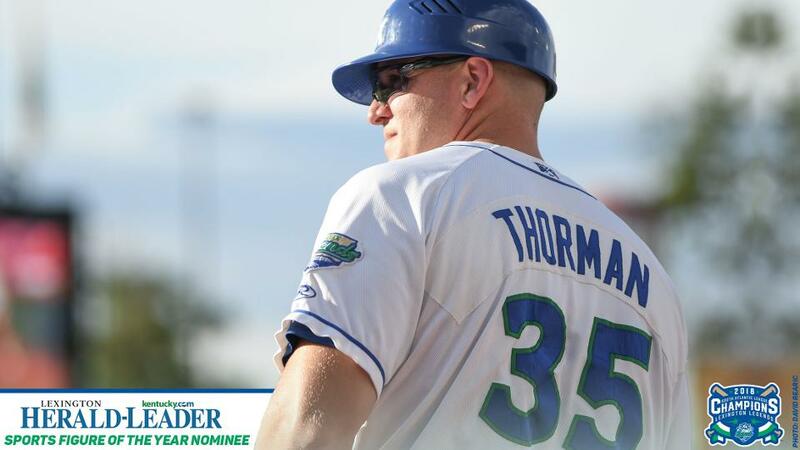 The Blue Rocks players will be very familiar with Thorman, in his two seasons managing the Legends, he saw 45 Royals' prospects receive promotion within the organization. Before he became a coach in the Royals' organization, he was a first-round pick by the Atlanta Braves in 2000 and Futures Game participant in 2003, and played for the Braves in 2006 and 2007. He played for the Royals' Triple-A affiliate in Omaha in 2009 and 2010. A first baseman and outfielder, Thorman played for Canada in the 2006 World Baseball Classic and the 2008 Beijing Olympics. He resides in Kitchener, Ontario, with his wife, Kelly, and their three children: Robbie, Tommy and Allie. The winner of the 2018 Lexington Herald-Leader Kentucky Sports Figure of the Year will be announced on January 30 at the 2019 Bluegrass Sports Awards held in downtown Lexington at the Convention Center.